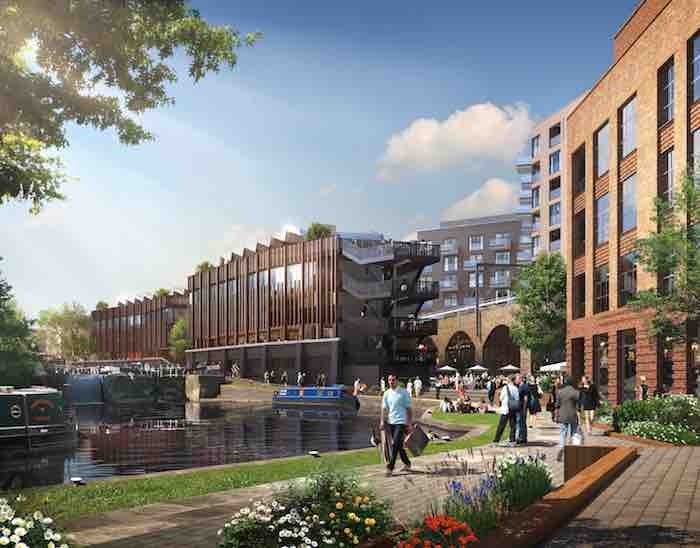 LabTech, owner of Camden Market, and Colliers International has created an innovative new approach to leasing the retail and F&B element of Hawley Wharf, the 580,000 sq ft mixed-use destination that is due to open in Camden this autumn. Creating flexibility and reducing risk for start-ups and fledgling businesses is key to the programme. LabTech and Colliers will be offering turnover rents, shorter-terms, and providing a baseline kitchen fit-out for F&B brands. According to analysis by LabTech and Colliers, the approach could significantly reduce start-up costs for operators. Reflecting that many of the potential brands will be owner-operated businesses, the Hawley Wharf leasing team is also adopting an unconventional approach to sourcing and securing occupiers. The open house event on April 9 is aimed at potential operators, and has been promoted extensively via social media, adverts in Time Out and online. The team has also visited London’s leading markets and food destinations, talking to independent businesses about the possibility of expanding into Hawley Wharf. Interested brands are then invited to pitch their ideas to the Colliers team directly via social media and the Hawley Wharf website. Colliers International represents Hawley Wharf Camden.